I have seen some great news today, well, great news for people who love jewellery. I love jewellery 😝 In my inbox today was my Glamour magazine email. It said “Big earrings are in fashion” and I did a little happy dance. I first had my ears pierced when I was 13. After a few of years I stopped bothering wearing earring – I was seriously in ballet and in and out of dance classes all day so it was just easier not to bother. 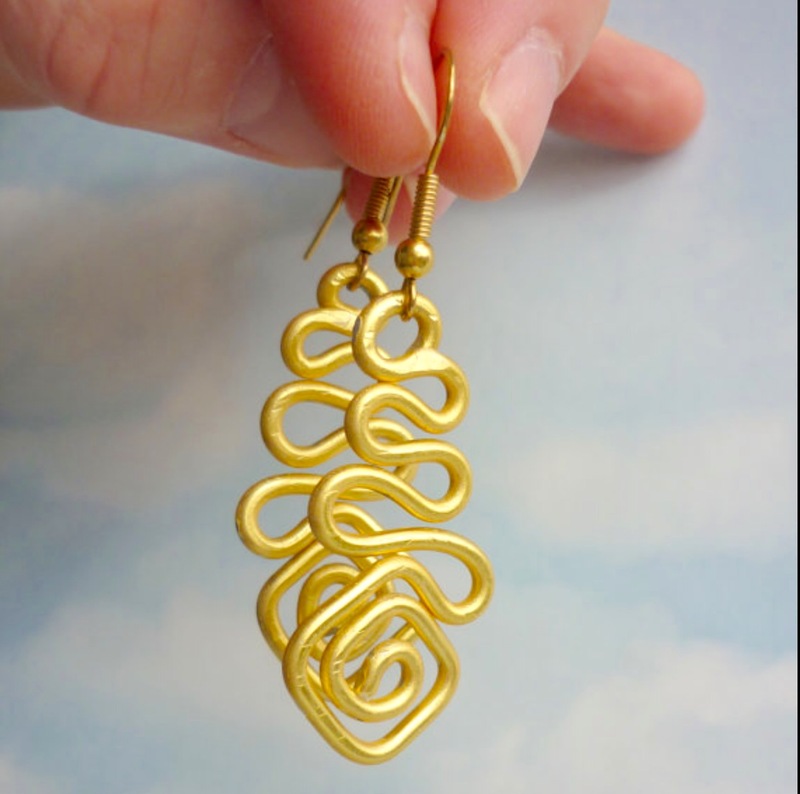 But during one summer holiday I saw some enormous gold coloured squiggle design drop earrings and I had to have them! I bought them and the next time I visited my mum I asked her to help me put them in – my earrings hole had almost healed up. It wasn’t comfortable to get the holes open again but it was possible. If you are going to try it I would recommend you try the earring in backwards, so you open the hole up again from he back part first, which I found was easier. Also I recommend leaving in small good quality (silver or gold etc) earrings for a week and sleep in them as well to get your ears ready for all the funky cheaper earrings. I loved wearing my big earrings and felt so modern in them. I still wear the big earrings sometimes but usually in summer so chunky scarves don’t push them out when you aren’t paying attention. Now where is a photo of me with those funky earrings…. Here is the glamour magazine article.